Congress Infinity v. 2.8.9 released! 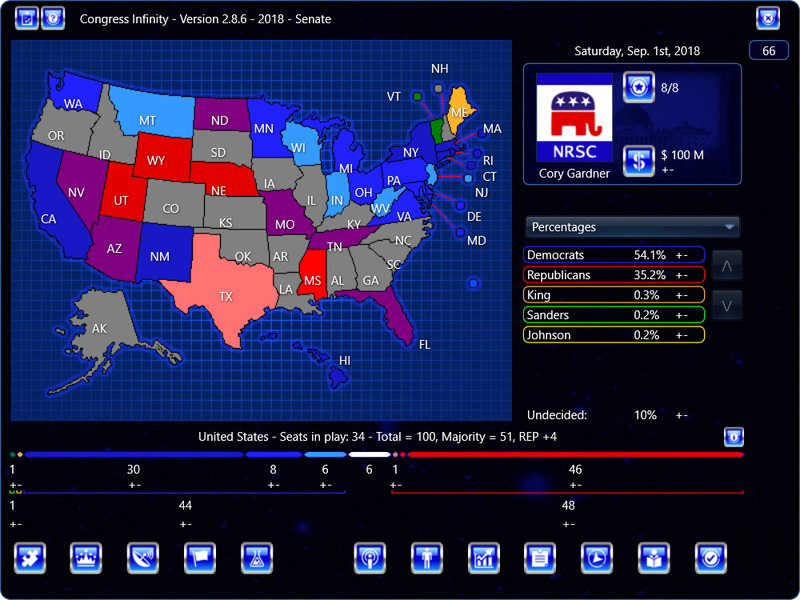 Congress Infinity v. 2.8.9 for Windows and Mac has been released! This updates the House – 2018 campaign to bring it in line with the Senate – 2018 campaign, adds an official Senate – 2010 campaign, and allows for campaign designers to set surrogate images to the default. Congress Infinity v. 2.9.0 released! The scandals for some reason have a 100 percent chance of completion..
I’m guessing that’s a bug? Can you tell me which campaign and which party? National or local? I think this is with 7 days per turn on. I’ll look into whether this is a bug. That was an epic bug! Made researching scandals much more powerful. Fixed in latest internal, should have update today. Yeah correct. Lol you could do scandals like every turn.